Interesting... That was definitely a bug that has now been corrected. You should have no problem continuing on your current game though if you go back to village and continue with the race. I played a bit your quest and it's very good ! And then, I had a look at your quest data and noticed some nice ennemies were new. Did you create them (sprites and Lua) ? Yes, I have created quite a few new scripts for this game, including enemies. 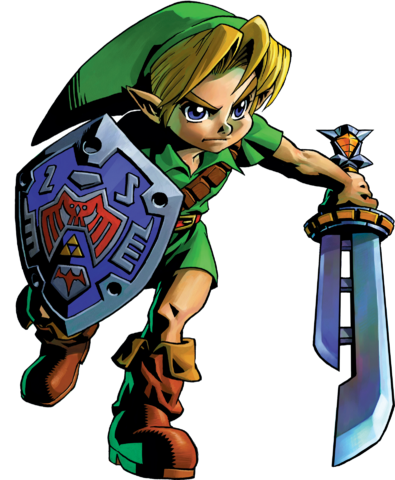 I believe all of the sprites are ripped or edited from other Zelda games, but I had to code any behavior that Christopho hadn't made for one of his games. A lot of these scripts are not complete. Christopho, I watched your Twitch! It was cool watching someone else play my game, knowing they're in an entirely different country Unfortunately, I don't speak French, so most of your commentary was lost on me. I noticed some issues while you were playing, some of which I was able to fix already. Others I couldn't quite tell if there was something wrong, or what the exact error was. Feel free to send me your error.txt or just log bugs in the github tracker. I had a lot of bugs at the beginning of the stream because I was playing the wrong version (the git master one instead of 0.42). - Crash in the game-over menu, this one is my fault (an image seems to be missing, but a missing image should not crash the game). Anyway, I enjoy playing your game, and I will continue to play it every Monday! Maybe in English next time? Hmm... which image was missing for game over? I should be able to replace it. Nope, don't feel obligated to do it in English on my account - it's your stream! Do what you like! I am using this version but somehow nothing of the HUD is displayed... Is there any newer version I should use? EDIT: Oh wait, the HUD suddenly appears after completing the maze race. I've encountered that bug before too, and am still tracking down the cause. I believe it's related to the "item not saved" error I'm getting. Interesting that it reappeared for you though! Nice! I thought I would stop playing for now, waiting for more content or more indications but with this new release maybe I will continue now. Congratulations! I'll look at them - thanks! Christopho told me that I have to ask for your permission if I want to use tilsets from Book of Mudora for a quest of mine, is that possible?